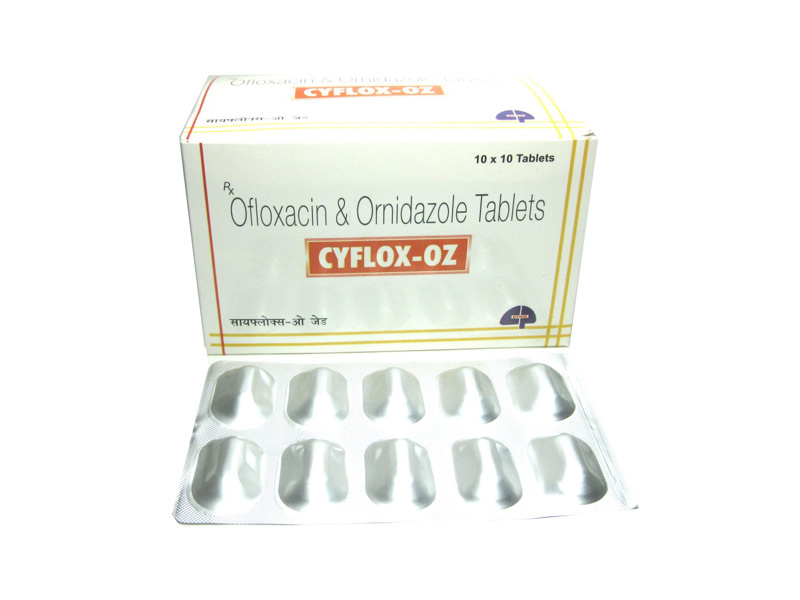 Ofloxacin is a bactericidal drug. It act by inhibiting the enzyme DNA gyrase (Topoisomerase 2) and Topoisomerase 4.DNA gyrase helps in the formation of a highly condensed three dimensional structure of the DNA by its nicking and closing activity and also by introducing negative supercoil in to the DNA double helix. Ofloxacin inhibits DNA gyrase which results in abnormal linkage between opened DNA and gyrase and negative supercoiling is also impaired. This will inhibits transcription of DNA in to RNA and subsequent protein synthesis. Absorption: Ofloxacin is rapidly and completely absorbed after oral administration. Distribution: It is widely distributed in the body. Metabolism: It undergoes insignificant metabolism. Excretion: Drug is excreted mainly through urine. This medication is an antiamoebic agent, prescribed for amoebic dysentery. Dosage: Adult- The recommended dose range is 0.5gm to 1.5gm daily for 1 to 7 days. Side Effects: Central Nervous System- Drowsiness, dizziness, headache, tremor, rigidity, poor coordination, epilepsy, tiredness, temporary loss of consciousness and fainting. Miscellaneous- Nausea, vomiting, taste disturbances, liver impairment, skin reactions like rash, itching and inflammation.